Capnella soft corals are stalwarts of the reefing hobby, gracing tanks for generations. Our strain of Kenya Tree has a very desirable metallic sheen to it, transforming an otherwise tan coral into an iridescent blue-green beauty. 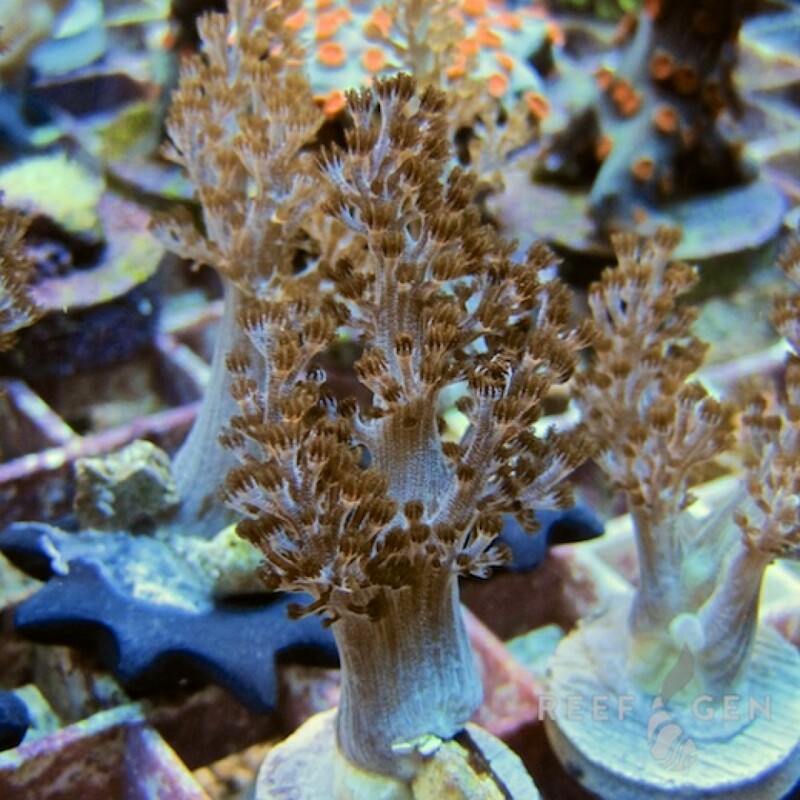 Easily grown and one of the hardiest corals you can keep.